There’s no getting around it: Minnesotans love things shaped like Minnesota. We love the logo so much that it adorns everything we can emblazon it on and probably always will. I saw a meme not long ago that listed off the things Minnesotans love, and it read: Minnesota, Target, other Minnesotans, and things with Minnesota on them. It’s one of the better and more recognizable state outlines in the US, and here are five physical things right here in Minnesota that bear our state’s likeness. 5. Corn Maze, Edgarton – Although this likeness was from 2016, the Spronk family, the folks behind Rock River Pumpkin Fest in Edgarton (outside of Pipestone) carved a corn maze in the shape of Minnesota, counties and all! 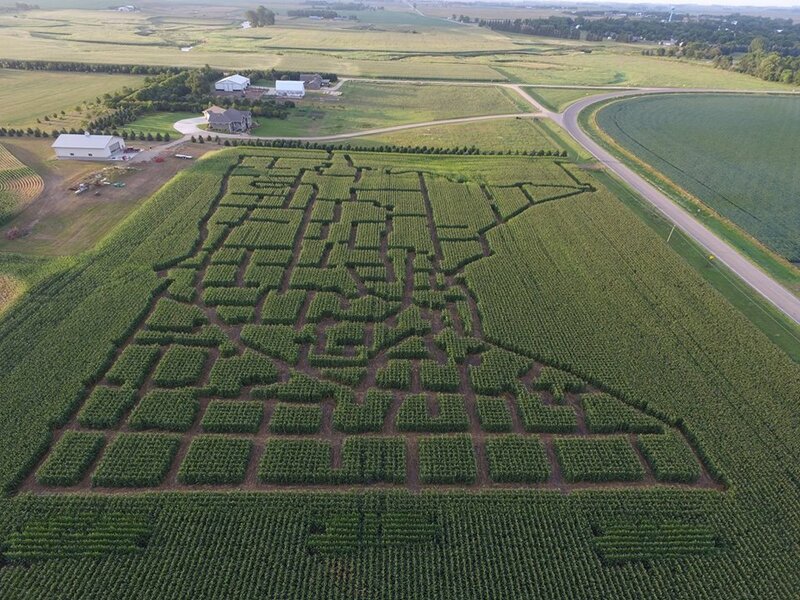 According to the story in the Pipestone County Star, the corn maze was created using three different types of technology and GPS to carve out all 87 counties in amazing detail. The maze features a different theme each year, but this one will sure be hard to beat. 4. 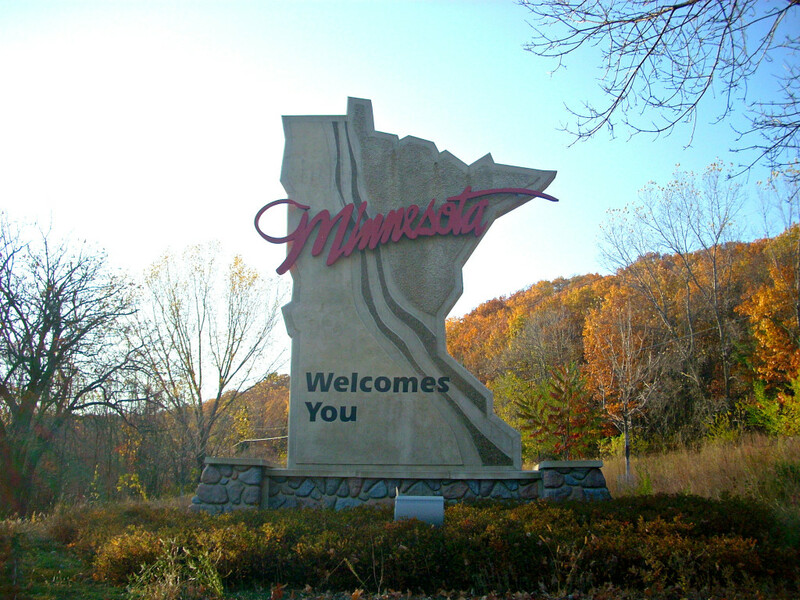 State Welcome Signs – Entering Minnesota via any of the interstate systems, visitors will notice the big, bold, Minnesota-shaped “Welcome” signs standing 20-ft tall that completely blow away any other state in the union’s signs. Having traveled a good deal of the US, I’ve noticed that about 75% of the other states have a simple metal sign with a state slogan. Not Minnesota though. 3. 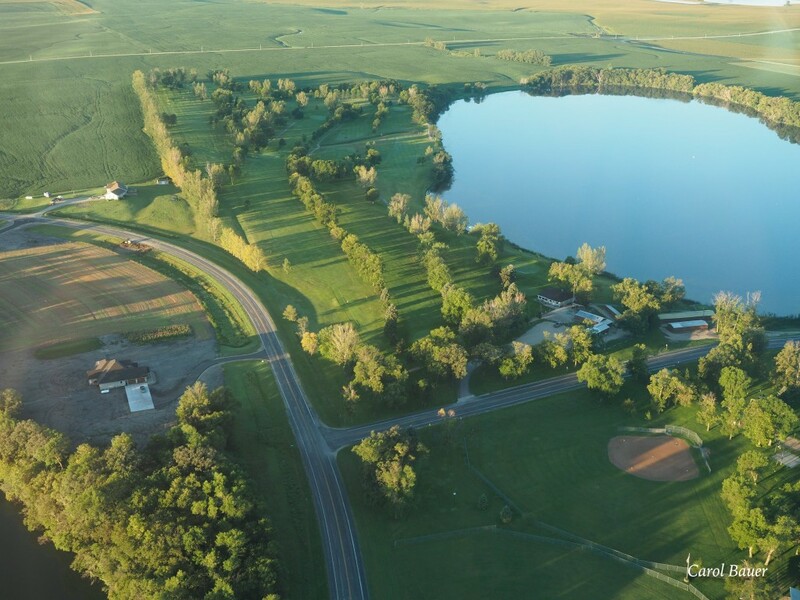 Graceville Golf Course – Graceville, MN, is a small town on the western edge of central Minnesota, about 25 miles from the South Dakota border. 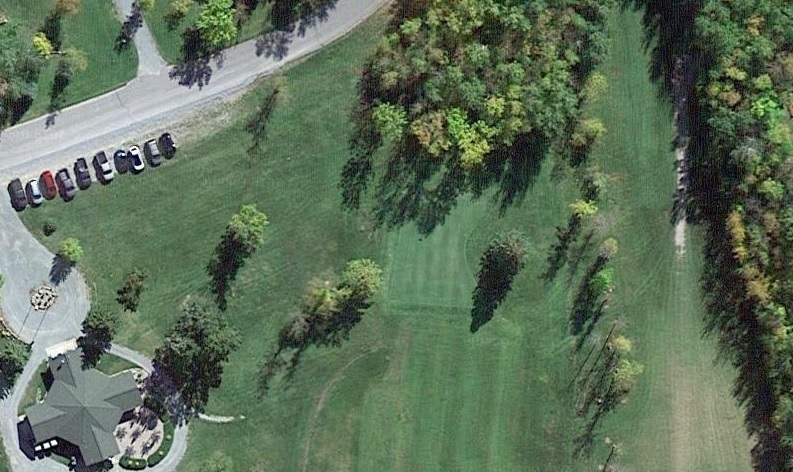 Their golf course cleverly uses a lake, two intersecting roads, and some carefully-planted trees to create the outline of Minnesota. Most of the golfers and local residents had no idea, and how would you unless you are airborne? The photographer who snapped the aerial photos of the course informed me that her husband, a cropduster, took her up flying to capture the photos of the course outline. 2. 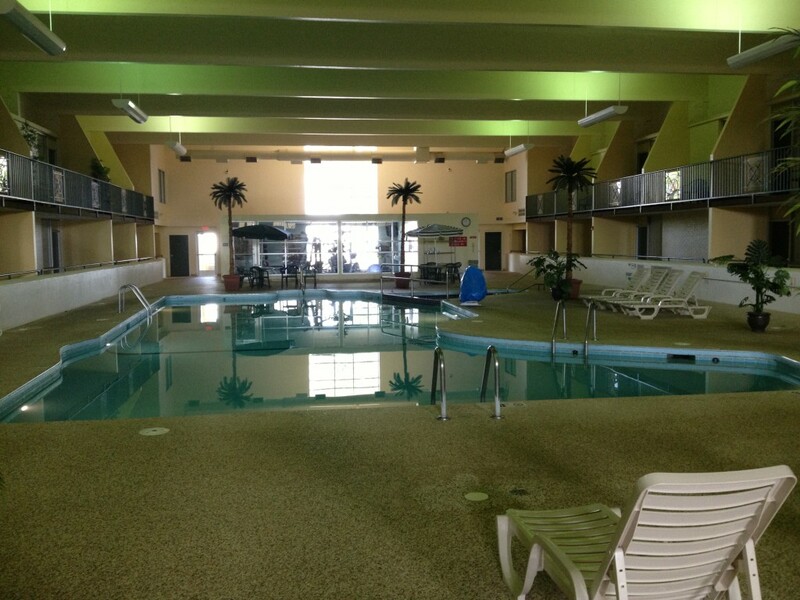 Swimming Pool, Fergus Falls – Although the hotel franchise name has switched several times (Kelly Inn, Best Western, now currently a Country Inn & Suites), the iconic indoor swimming pool in this Fergus Falls hotel has not changed a bit since it was designed in the 1970’s. I even remember staying here as a kid once. The “arrowhead” region of the pool is the hot tub. 1. 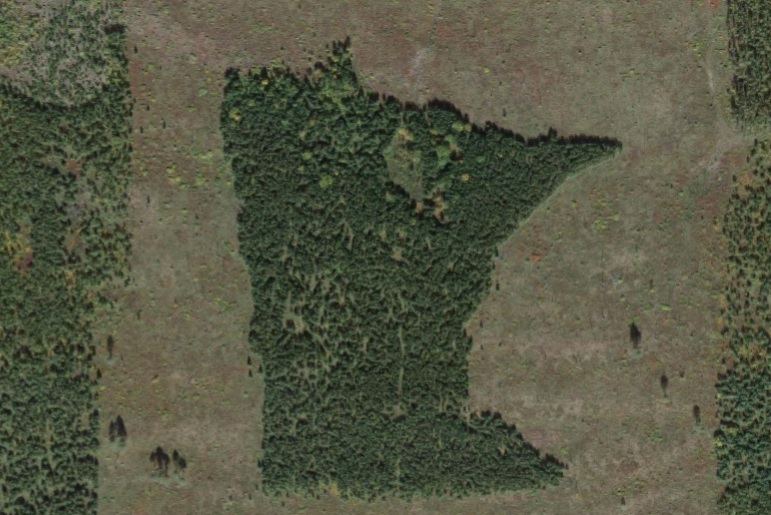 Minnesota-shaped Forest, Williams – In 2014, this peculiar pine forest in the far northern reaches of Minnesota was brought to light by users of Google Maps’ aerial view feature. Prior to that, only a handful of people knew about it. The story behind it is that in the early 90’s, a DNR logger named Bill Lockner cut a section of trees down in the shape of Minnesota, using only a compass and a hip-chain. Trees were later planted in the clearing, and the surrounding acreage was cleared, creating a Minnesota-shaped forest that still exists today. According to sources, Lockner has been coy about the work, and the forest lives on. 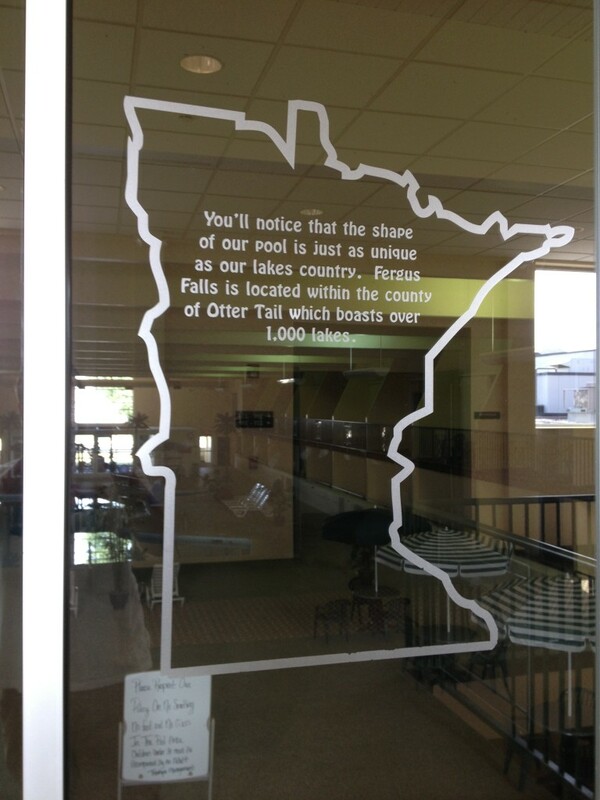 Do you know of any other big Minnesota-shaped things in Minnesota? Let us know in the comments if you dare!